Whether you’re looking for a first course or an entire meal, this soup is sure to please. About two weeks ago I bought a bunch of asparagus and than never had time to prepare it. I hated wasting it, but it was on the old side of fresh, so I figured it might taste great in a soup. This happens to me a lot—I buy fresh veggies and than forget to use them right away. That happens to caregivers and busy people. We have great intentions, but we get caught up in life and forget what’s in our refrigerator. 1 bunch of fresh asparagus, snapped into two-inch lengths (if the stem snaps, it’s still good. If it just bends, or is too pithy to snap, toss it. Of course, if you use it when it’s fresh, you’ll be able to use more of it!). Turn down the heat and simmer the asparagus until it’s tender, but not mushy. Once the asparagus is tender, place it and the water you boiled it in in a blender jar and blend on high speed (I use a Blendtec) until the mixture is smooth. Return the blended asparagus to the saucepan and add another cup of water. 12 oz. prepared Great Northern Beans (I use a crockpot to cook large amounts of the Great Northern Beans and then freeze them in 12 oz. portions). Blend on high speed for 1-2 minutes, depending on your blender’s power. Pour the mixture into the saucepan with the asparagus and stir well. 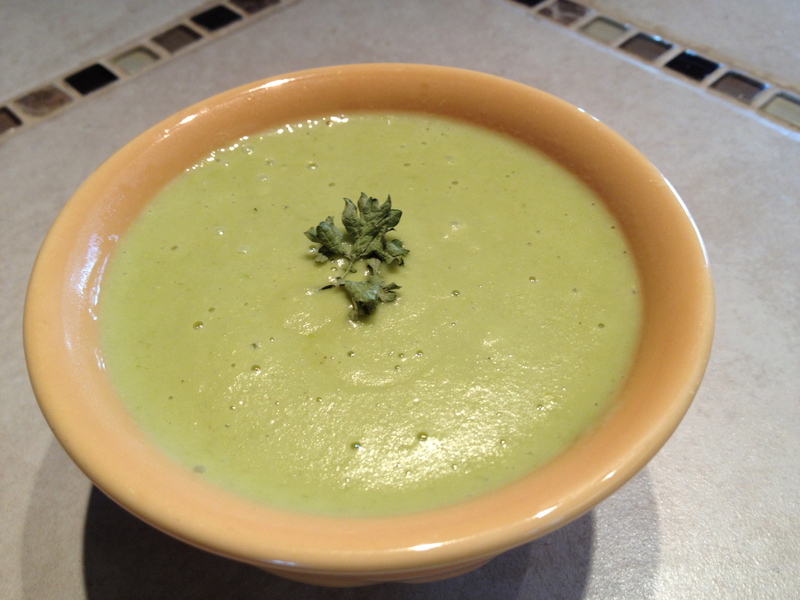 I add another ½ cup of water to the blender jar to rinse it out and then pour that into the soup as well. Simmer the soup on low heat for five minutes.